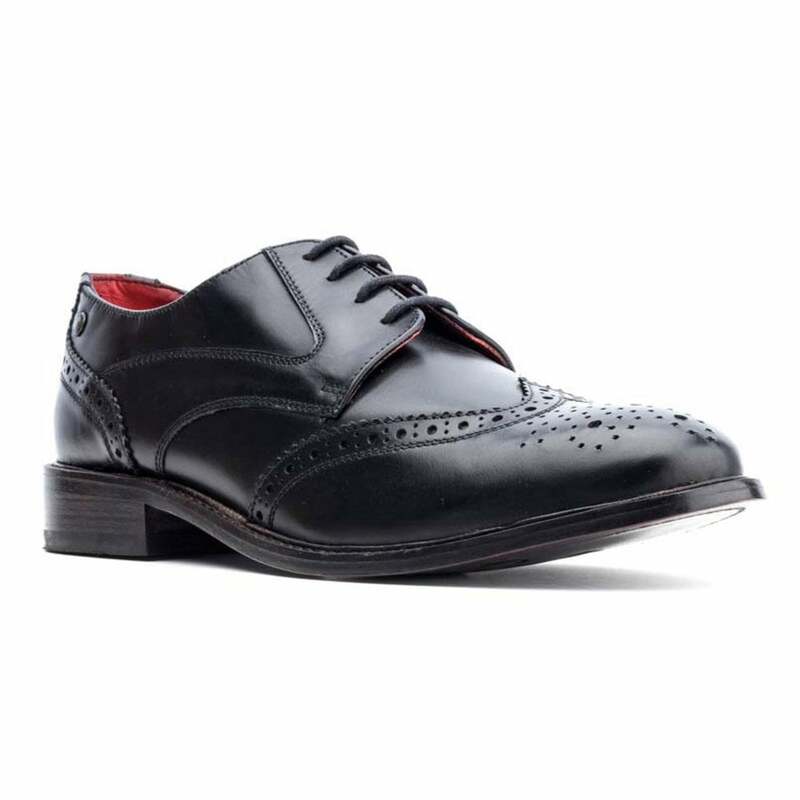 The Dominion Waxy black from Base London's West End range is a simple and stylish take on the classic brogue. 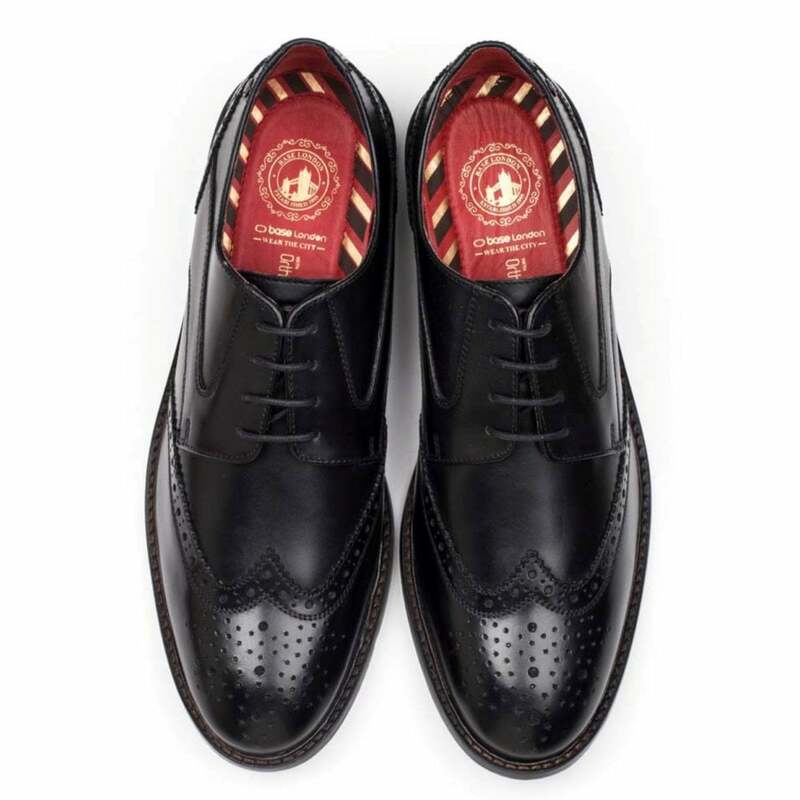 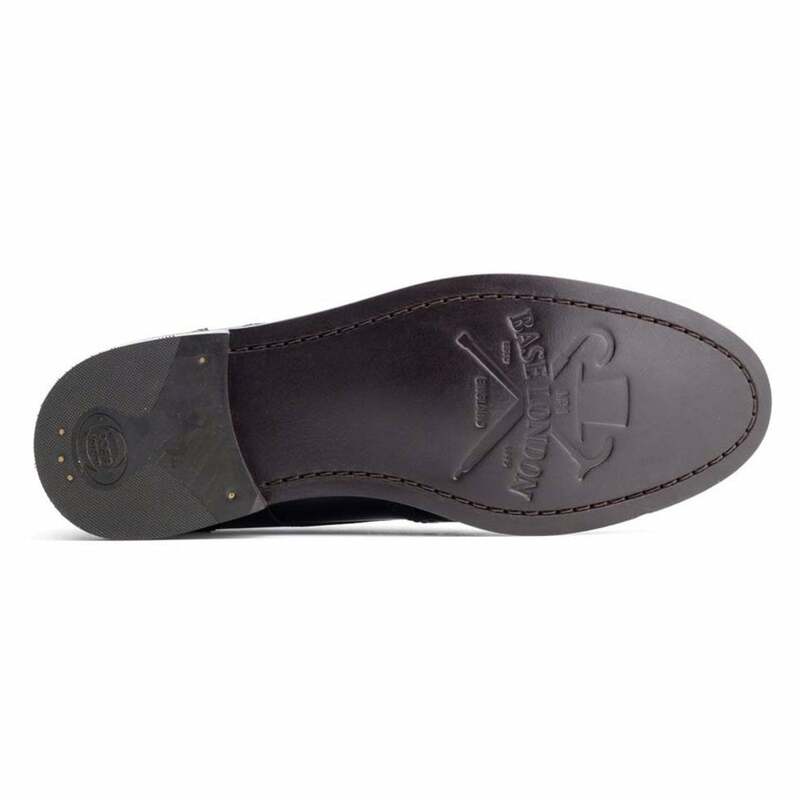 The brogue detailing is pleasing to the eye and adds elegance to the design of the shoe. 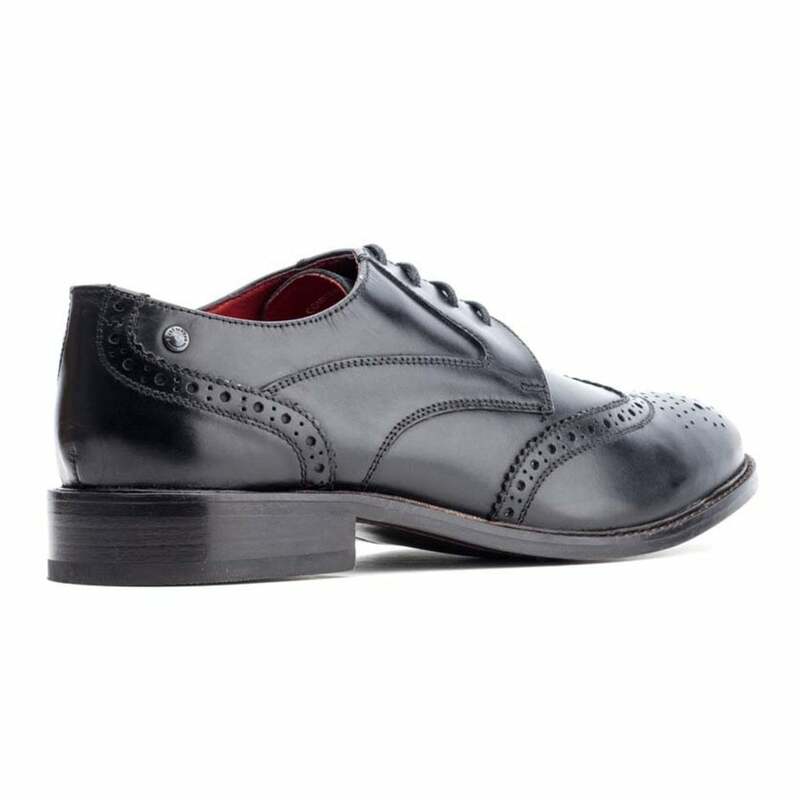 This shoe boasts a proud heel comprised of a dense resin.